Contrary to my strong headed, "I seen it with my own eyes" opinion, this will be the first time I get to see Pixar Pier in person. Holiday decor will be up at DL so i'm excited about that. Anything else I should know, from someone who has been there recently? It'll be interesting to see Matterhorn, as that's scheduled to reopen in the middle of my visit! I had a question about gingerbread cookies.. Do they serve them anywhere else in the park? As far as I know, you can only get them at Jolly Holiday. Gingerbread cookies can be found at Three Pigs in DCA and Jolly Holiday in DL, but don't sleep on the Festival booths in DCA! There are some great snacks there. And don't miss Viva Navidad! Thanks! I didn't know they were available in DCA! You know, I actually haven't paid any attention to those festival booths. I may have to check them out! I haven't been too recently, but I've heard that jack jack's cookies are pretty good. Just expect to eat a pizza sized cookie if you do get one. EDIT: they're 6 bucks. Hopefully I can get past the subliminal advertising when I try Incredicoaster lol. The IncrediCookie is gluten friendly!!! 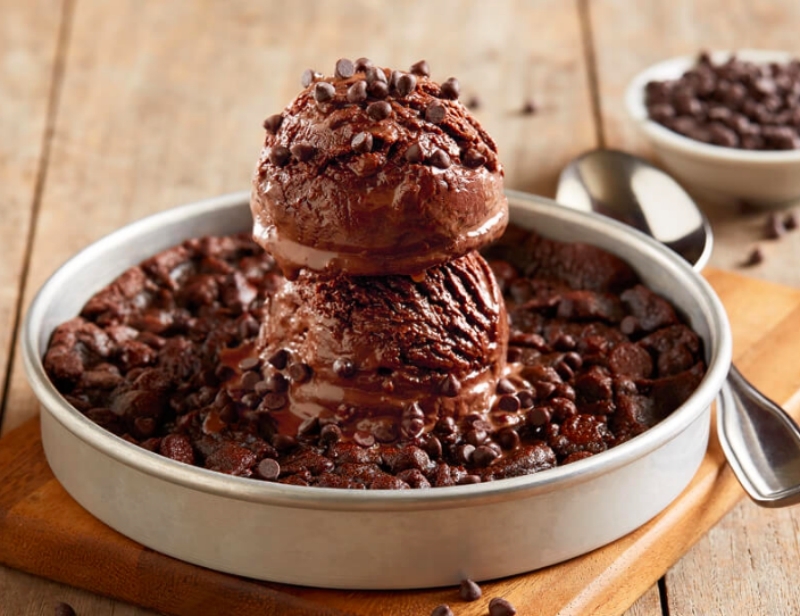 They need to sell their version of BJ's Pizookie. Same thing but I don't have to go to Arizona. The Jack Jack chocolate chip cookie is just ok. Your local Mall Mrs Fields blows it away. But we expected this. Anyway since you are a regular on these boards I’m not sure any of us can tell anything about DLR that you don’t already know unless you have some more specific questions. 2. WHY DID THEY REMOVE THE "here kitty kitty kitty" SCENE IN PIRATES?? 4. Lots of technical errors today. Got kicked out of tiki room cause bird wouldn't start up. Jungle cruise had a broken boat. Etc. But so far today has been a great day! HMH looks great, Space Mountain blue tunnel is working, gingerbread cookie was delicious! Currently waiting for fireworks then heading back to hotel for the night. Animatronics get taken out for refurbishment all the time. I'm assuming the drunken pirate enjoying his feline company will be back. And by "working" do you mean they finally fixed all the burned out lights? Was it during Hyperspace Mountain? It was pitch black during the overlay on purpose. Yes but when space mountain returned it was like that for awhile. Last time I was here was in early 2018 and it never lit up. Maybe I timed it right when it wasn't working for a few weeks? So last night we booked passes for big thunder around 6 or 7. By that time we were exhausted but one member of the party thought "what the heck I'll book these for us just in case we want to fit in one more attraction". We sort of forgot about it, watched the fireworks, then decided to hit the buses. During the bus ride I get a notification that those passes turned into "multiple experiences" for today / tomorrow. I guess big thunder was down for the night. So this was a cool little surprise!